Las Palmas defeated Malaga 1-0 in a LaLiga tie on Monday thanks to Allen Halilovic's 90th minute strike. Considering both teams' positions at the foot of the table, the points meant so much. 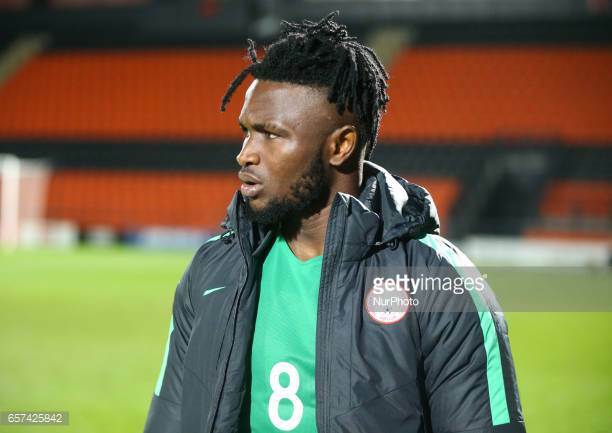 Meanwhile, three Nigerians made their debuts for both teams after their winter moves. 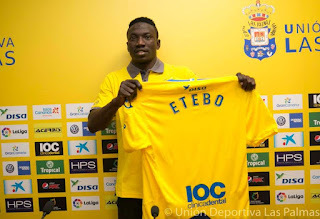 Oghenekaro Etebo filed out for Las Palmas while Brown Ideye and Isaac Success featured for Malaga. Emmanuel Emenike wasn't listed for LP. How did they fare? He was on from start to finish and was easily the liveliest player on the pitch featuring from the central midfield. When the LP number 6 was not breaking up play, he was either turning away in the middle of the park and driving his team forward or hitting a long range canon. He popped up from one box to the other at will. 36' Turns away on the counter but is fouled by Malaga defender. That saved a potentially dangerous situation. The defender goes into the referee's books. 59' From the ensuing corner, he latches unto a loose ball and unleashes another canon from about 25 yards this time but its wide. 70' He turns away expertly but is dragged down by the opponent; the ball is well covered and he is still in a position to deliver the pass from his crawling position but the referee gives the foul. Verdict/World Cup chance: Really an eye-catching performance. A man-of-the-match display. Even if LP doesn't survive the drop, he has done his reputation a world of good and other LaLiga teams must have taken note. Cut the picture of Naby Keita at RB Leipzig with his all-action style. He has done no harm to his World Cup place. Ideye is noted for his good link-up play when he leads the line. Malaga's number 12 played all 90 minutes and was isolated up front but was the focal point in attack. The tactic was to get him hold the ball up and play his team mates through on the counter. 37' He breaks away on the counter and is goal-bound only to be pulled down by Gabriel Penalba. The defender is booked. 52' He holds the ball up and plays Samuel through but Samuel trips even with the keeper at his mercy. 72' Clash of heads between him and Etebo. 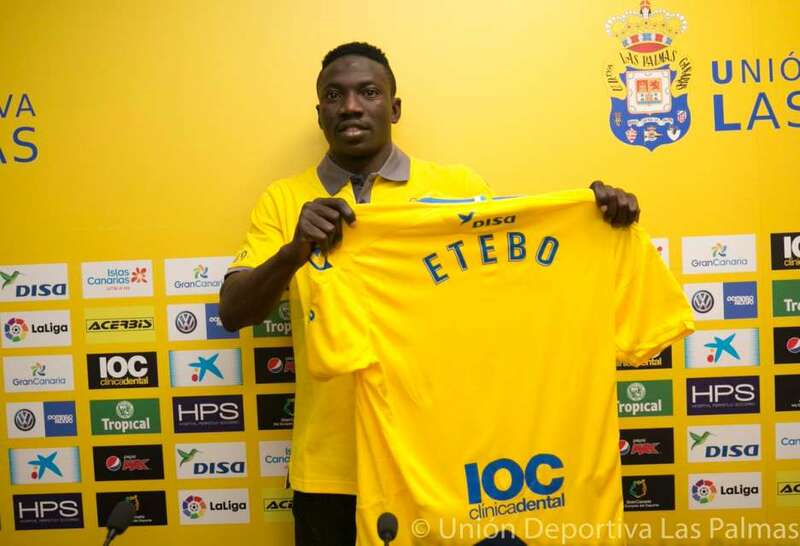 Etebo appears more hurt but didn't need the medics. 75' He holds the ball up down the right and delivers a cross-field pass to Samuel. Samuel gets past his marker down the left but his cross to Ideye, who had advanced to the box ready to pounce, is somehow looped over. The ball evades Ideye's head. 84' That seemed the moment. He has a clear view of goal and is set to pull the trigger but a last ditch clearance by Aguirre Garay saves the situation for LP. 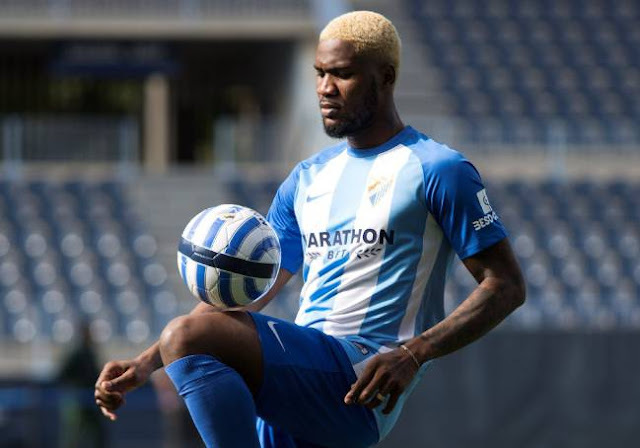 Verdict/World Cup chance: A typical Ideye performance. He doesn't score many but is a veritable foil for willing strike partners. This move was obviously geared towards securing his World Cup place and this performance brightened his chances. More of this could get him in that World Cup plane. If he came here to get Rohr's attention, he must have done that in this game. His experience will suffice at the Mundial and with such quality game time, he can't be ignored. 83' Michel Marcedo is freed down LP right flank but Success tracks back to thwart danger. 86' A corner-kick...He aims at a diving header but Gonzalez clears. Verdict/World Cup chance: Still smarting from his underachievement at Watford. The potentials are there...He tried to bring some urgency to the attack but huffed and puffed most of the time. Needed more minutes to enter full gear. This department is stocked in the national team. Needs show-stopping performances to gatecrash the World Cup party. More game time will suffice.